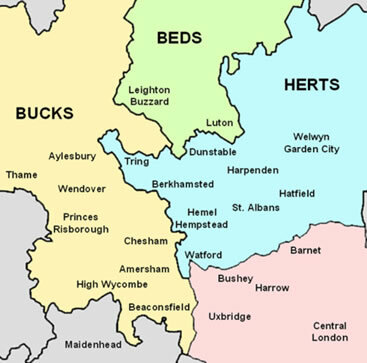 Here at AutoRefurb we pride ourselves on being able to service our valuable customers all over North London and many areas in the northern home counties, especially Buckinghamshire and Middlesex. We come to you to work on your car body repair and alloy wheels refurbishment requirements at a time agreed between us, and that is convenient for you our customer. Please see the list of towns at the bottom of this and other pages on our site which give an indication of the areas we cover. However, if you don’t see your area here then please don’t hesitate to give us a call and we will see what can be done to help you make your car look fabulous after a car body repair or alloy wheel refurbishment service from AutoRefurb.